Pair of Egg Cups are they Crown Lynn? 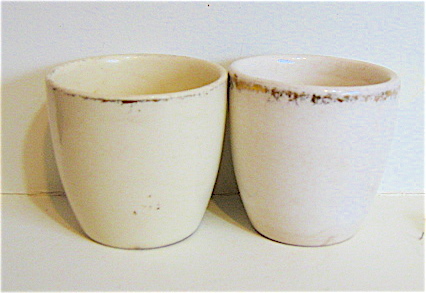 A pair of egg cups with worn gold decoration on rim no other marks. Same size as other Crown Lynn Eggcups note that the body is slightly different one to to the other. Re: Pair of Egg Cups are they Crown Lynn? Well they have that 'old' Crown Lynn look to my eyes Jonno. re Pair of Egg Cups are they Crown Lynn? Thanks for that Ev. yes I was fairly sure but as they had no New Zealand impressed underneath could not be 100% positive. 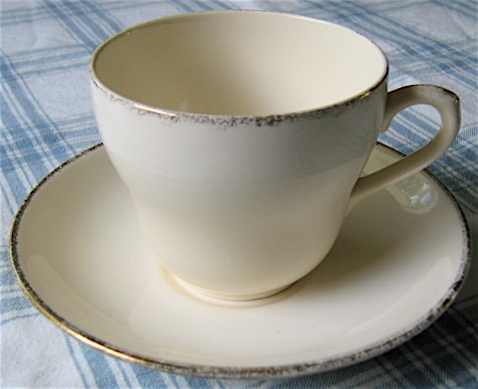 Scored a cup and saucer fro my collection KELSTON WARE British. 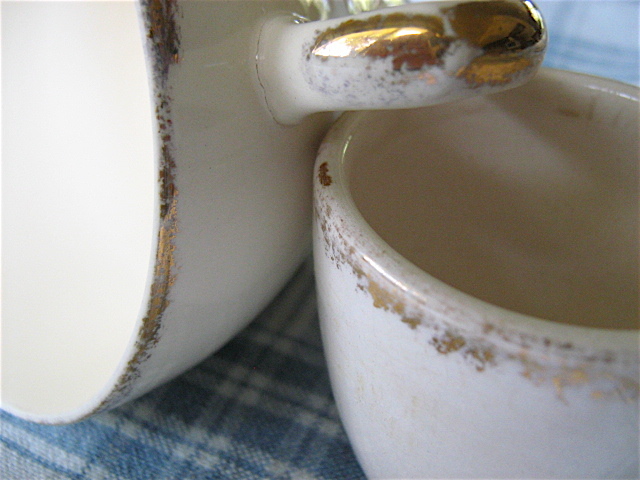 Decorated in gold and the backstamp which is also on the cup . I then got out my two eggcups and the edge decoration seems to match so they may well have been part of that range, certainly they are CL as the body is the same and the shape already is agreed thanks to you. It looks like a 754 .... wish I knew the saucer number !